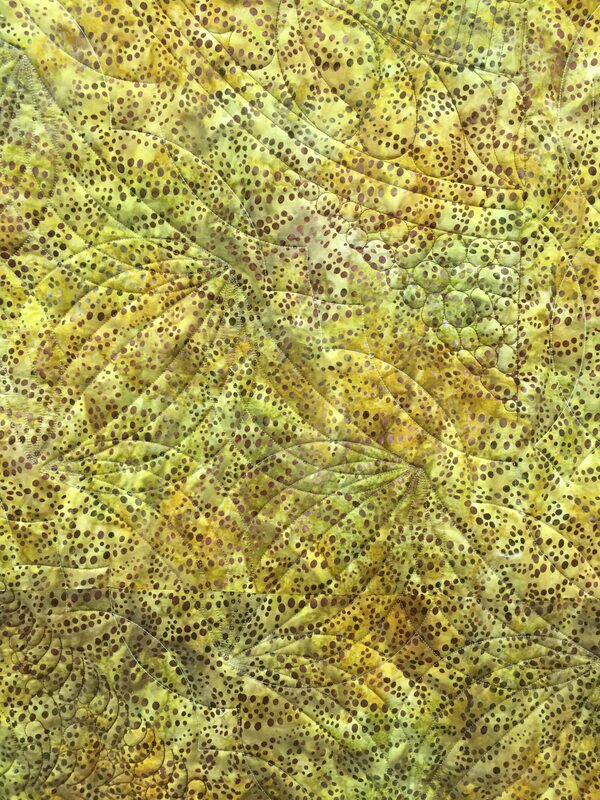 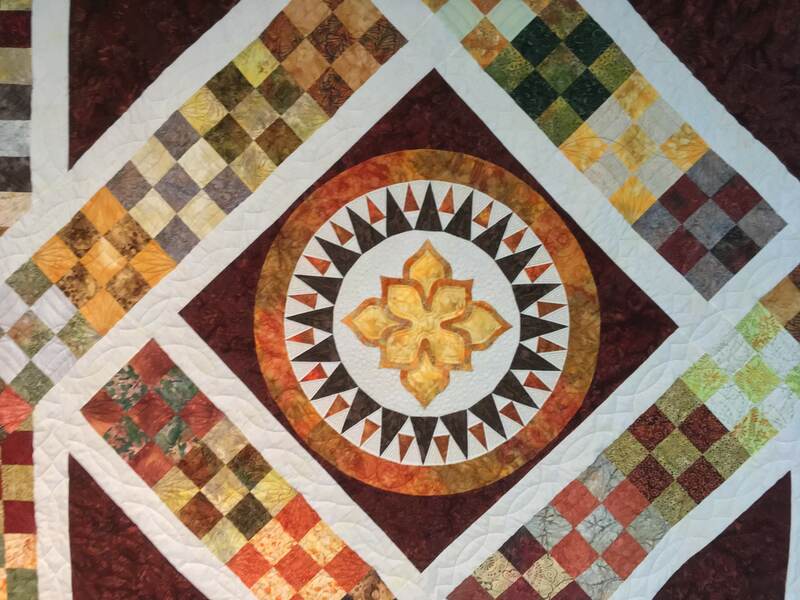 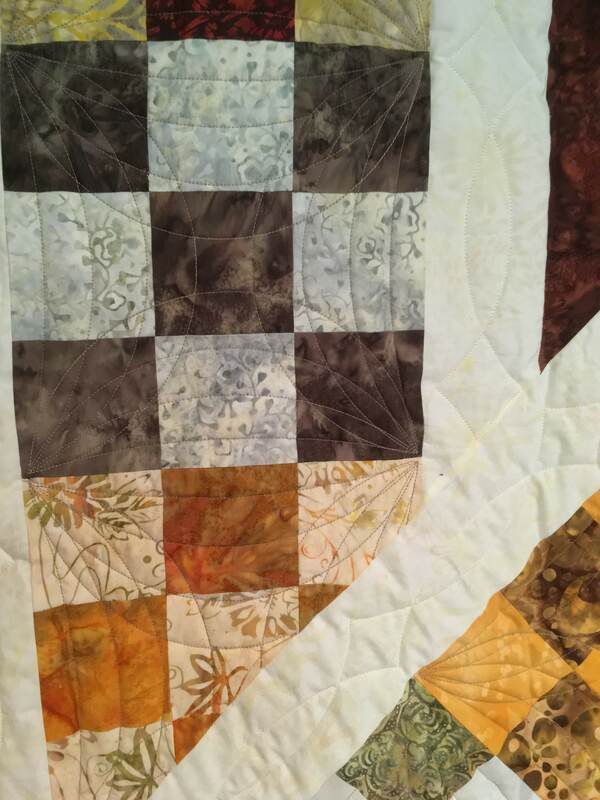 This quilt began with 9-patch blocks sewn by members from batiks in autumn colors, and the blocks were incorporated into a design adapted from Norah McMeeking’s Bella Roma design. 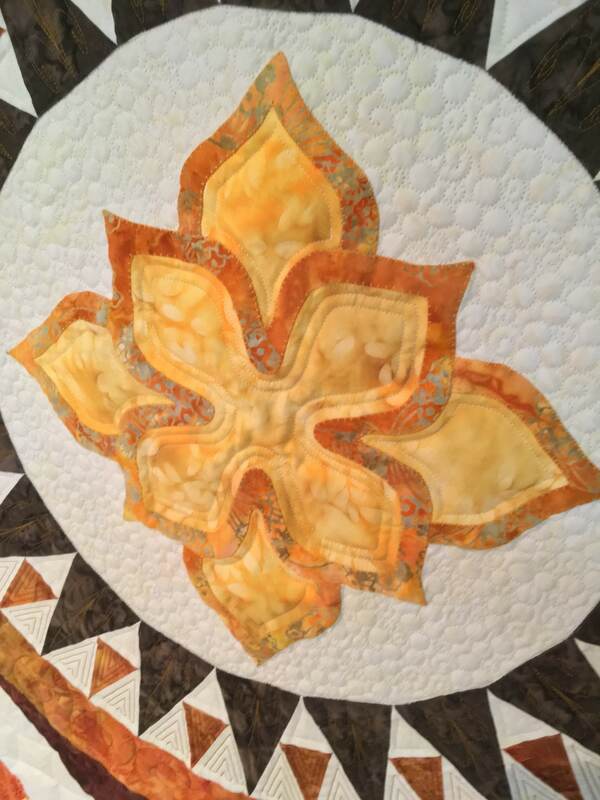 Sheila Fredette did the amazing job of adapting the design, creating the center medallion, and putting it all together. 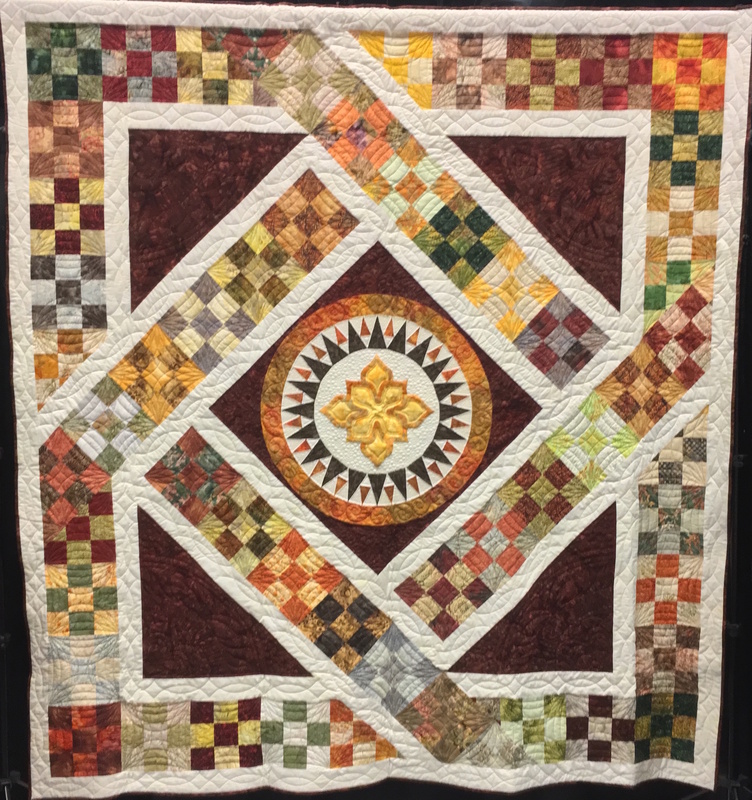 Gail Von Hoene of Stitch Meisters did the beautiful machine quilting and finishing, and Ann Acquilano created the label. 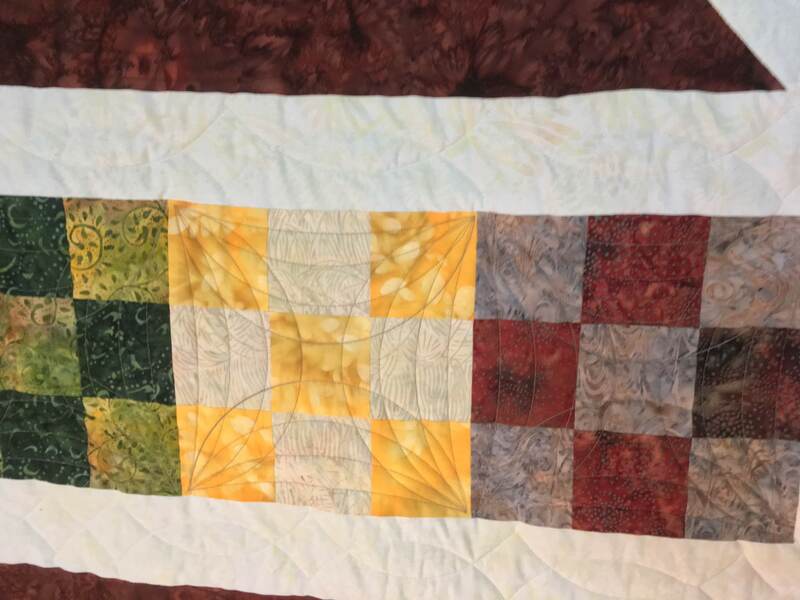 The completed 94″x100″ quilt was revealed to members and guests at our July 2018 meeting. 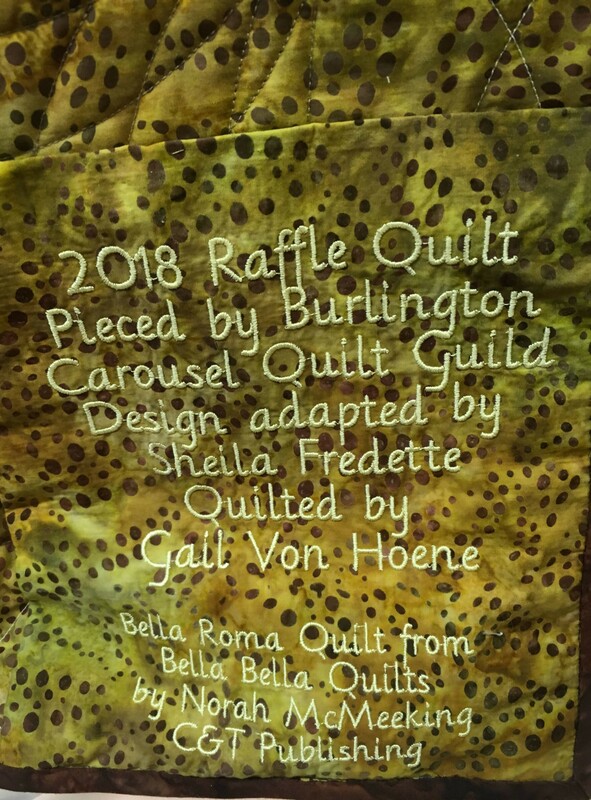 The drawing for the winning ticket took place at the 2019 Uncle Eli’s Quilting Party on April 4, 2019, and the winner was Kim Battle who joined us at our April guild meeting to receive the quilt.